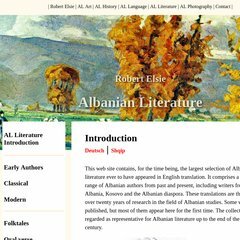 Topics: Robert Elsie, Al Art, Al Language, Al Literature, Al Photography, and Early Authors. 1 1 Internet Ag Baden-wurttemberg is the location of the Apache server. Its 2 nameservers are ns37.1und1.de, and ns38.1und1.de. Its local IP address is 82.165.97.7. PING www. (82.165.97.7) 56(84) bytes of data.